Entry level mining jobs in Australia may include a variety of positions that typically require no previous experience in the mines. Here, you can learn more about some of the entry level positions that can lead to a well-paid career in the mining sector. When applying for jobs in mining, experience in a mining environment may be desirable, depending on the position being advertised. However, the experience may come from another industry such as civil construction. 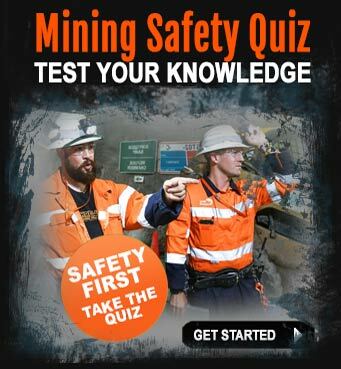 The following information should help when deciding what type of jobs to apply for in the Australian mining industry. The driller off-sider or driller assistant helps with drilling operation, moving the drill and handling the drill cores. Off-siders usually need a heavy rigid (HR) license or the ability to obtain one in a relatively short period of time. HR training is available through a variety of driver training organisations Australia-wide. 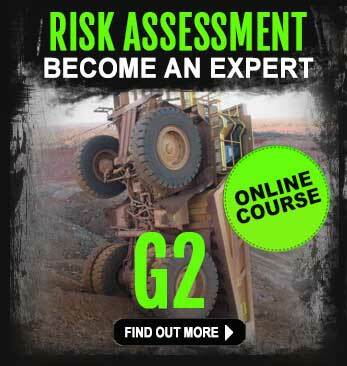 Another valuable qualification for a driller's off-sider to have is 4-wheel drive course and light vehicle qualifications and experience. This is because most drilling activities are in remote and untouched parts of Australia with no sealed road access and as such highly skilled drivers are in demand. The work is hard and hot but the pay is above average, even for an apprentice or new starter. Some off-siders become drillers after a year of working as an off-sider. With experience, the wage increases as more responsibility and accountability is placed on the person. Labouring work is always in demand in the mining industry. The work is generally hard and repetitive, therefore only strong and fit people will be attracted to these types of entry level mining jobs. As a labourer on a mine site, the activities are very physical in nature and people can expect to be doing a lot of heavy lifting, loading and unloading. Think of labouring and trades assistant jobs in terms of being able to take on a wide variety of tasks, such as helping welders, maintaining and cleaning equipment, assisting in the servicing of mining equipment. Labourers are also required to perform other tasks as they are assigned by the leading hand or supervisor in charge. Moving up from this entry level position typically involves obtaining a more mining-specific job role as an apprentice or machinery operator - which in turn may require attendance at a training facility, learning new skills and procedures. Applicants are usually required to pass a physical examination prior to employment to ensure they are able to adequately perform the job tasks. It is commonplace these days in the mining industry, for people in this role to undergo a drug and alcohol screening program prior to being offered the job. 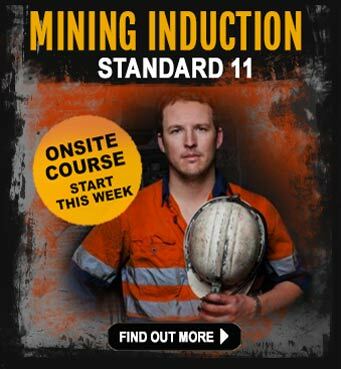 If you are going to work in a Queensland coal mine you will need the Standard 11 mining induction. The blast helper is one of the unskilled mining jobs that may lead to a variety of skilled positions including blast-hole driller and blaster. This physical job involves loading and priming of blast holes with explosives, assisting with guarding blasts, assisting the blaster(s) with explosives delivery, storage inventory management, assisting with blast tie-ins and performing safety checks as instructed. This is a very dangerous job and requires a high-level of attention to detail and safety awareness training. Blast helpers will be working as part of a team, so well-developed interpersonal and communication skills are high on the list of personal attributes. These entry level mining jobs, can mean working in remote locations, in the searing heat as well as very cold environments in the Australian outback. The work is hard and physical and would be suited to people who enjoy working away from home for long periods of time, working a long roster of 2/1 or 4/2 - meaning the working week would be 14 days with 7 days off, or 28 days on and 14 off. Requirements for this position vary but completion of high school, (even year 10) is a common requirement. A willingness to work with explosives is an obvious pre-requisite of this job. Entry level jobs like this also require the applicants to undergo a drug and alcohol test and in some cases employers will insist on a criminal history records check before being offered the job. Diesel and other types of mechanics will most always find employment in the resource sector. Excavating, loading, and hauling operations feature heavily in the day to day operations of a mine site. As mining processes focus on producing greater efficiencies, the equipment usually becomes more and more specialised and more often than not, the size of the equipment becomes larger and larger. Take the huge Caterpillar and Komatsu haul trucks that can weigh up to 400 tonnes when fully laden. These gigantic machines are placed under tremendous stresses owing to the the heavy loads they carry, so wear and tear on engine parts is inevitable. Attending to equipment that has failed on-site is also expected of mechanics who work in the mining industry. This can mean working in challenging environments in remote hot and even cold locations right across Australia, so mechanic's helpers are always expected to be ready for anything. As you may have guessed, unskilled mining jobs listed as "mechanic`s helper" involve assisting the mechanic by doing routine cleaning, testing, maintenance and minor repairs under the mechanic`s supervision. With experience and additional training, a mechanic's helper or assistant may be able to become a trade-qualified mechanic and enjoy a varied and rewarding career in the mining industry. The term 'helper' is used widely in the resources sector, although here in Australia this group of highly sought-after people are usually known as assistants, off-siders or trade assistants. Other entry level mining jobs people can find are with electricians and surveyors. These positions allow unskilled workers to gain valuable new skills which will prepare the way for a career in their area of specialised knowledge. Crusher, grinding, flotation, reagent and dewatering operators are other entry level mining jobs that are often advertised. Training involves learning how to operate the machines and may be completed on or off the job. Depending on the mine site, there may be a need for kitchen hands, warehouse people, samplers, cleaners and janitors. 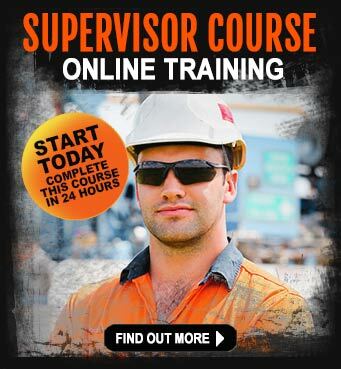 None of these require a lot of experience or training; and any of them could allow you to start a long career in the mining industry in Australia. Despite what is said in the media, mining jobs in Australia are still available - even at the entry level. Here's what to do next . . .
No matter what type of education level has been achieved, or from what cultural background you may come, mining in Australia offers some incredible career opportunities. Entry level jobs in the mines offer a stepping stone on a journey to a well-paid career. The first step to getting a mining job at the entry level is to get out there and learn about the mining and resource sector industry in Australia. Education is free, the trick is knowing where to find it and how to use it to create your pathway to a job in the mines. Thankfully, we have performed the research and are able to give you a head start. We are a well-respected Australian mining information company, focusing on identifying where the mining career opportunities are and providing training and up-skilling advice and guidance for hundreds of thousands of people who are considering swapping their current job for a mining job. The information supplied in the free eBook below is the perfect place to start preparing.